As we noted, the U.S Social Security system has been sending millions of taxpayer dollars to former Nazis, including death-camp guards and members of the SS. Congress has responded with the No Social Security for Nazis Act. The Social Security Administration has also dished out some $30 million to at least 1,546 dead people, and carried on some of these payments to the dead for 20 years. But while enriching the dead and handing out money to Nazis, the system has been punishing American retirees for the crime of working. Those who take Social Security at 62 get lower payments not likely to meet their needs. 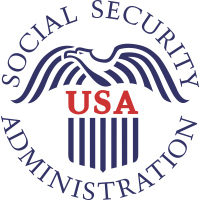 They can still work, but Social Security imposes an income limit of only $15,480. If retirees exceed that amount, the government reduces their benefits $1 for every $2 they earn, a tax of 50 percent. At full retirement age the government lets Social Security recipients earn $41,400, and docks the retirees $1 for every $3 dollars they earn, a tax of 33 percent. After the full retirement age the income limit disappears, but that does not help those who take Social Security at 62 and are trying to survive in a weak economy. For privileged federal workers this is a Dream Act guaranteed to keep the ruling class far ahead of the masses. The double standards do not disturb the Obama administration, which shows no interest in the liberation of American retirees. Meanwhile, Congress is investigating weather Carolyn Colvin, President Obama’s nominee for Social Security boss, directed SS employees to withhold a report about a dysfunctional $300 million computer system for processing disability claims.